Although I have been moving toward shooting more corporate photography lately, I still love returning to shooting birthday parties. 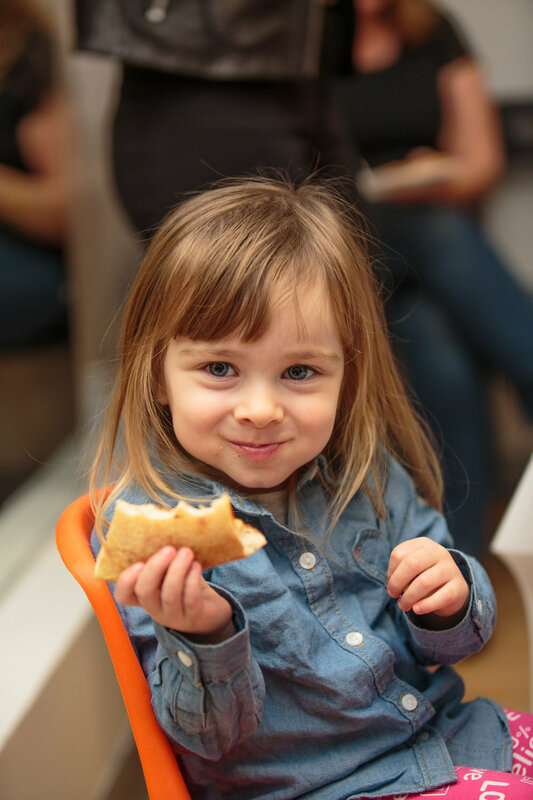 Here are just a few images from a recent birthday party I photographed at Kidville in Brentwood. In this video I talk about my experience photographing celebrities and give my tips on how to do it. I also talk about photographing celebrities on film and how I bring a film camera to every job. I hope you guys find this helpful and/or entertaining! I have been a professional event photographer in Los Angeles for over 10 years . I also teach photography at Barnsdall Art Center. Follow the links below to see my work. There are a lot of reasons to shoot film, many of which I am sure you've heard. But this video is about why I shoot film. It all comes down to this: I shoot film as a reaction to the over perfected and curated images everywhere we turn. So what is it about film that counters that? 1. the implicit understanding that an iconic moment or any decisive moment came down to the photographer's timing. When you know the photographer used a camera with a 30 frame per second burst, images can feel less significant. 2. Imperfection. Back in college I wanted my film photographs to be perfect. But it made sense back then: film was your only option for the most part of making an image. But now that that has changed, I like my film work to have some imperfection at times. I have been a professional event photographer in Los Angeles for 10 years. I also teach photography at Barnsdall Art Center. Follow the links below to see my work. AGFA APX 25 is my new favorite film! Will I use it often? Probably not. Since it's been discontinued for some time now, I am going to cherish what I have left. Although the results when developed in Diafine were unremarkable, this film truly shines in Rodinal. Personally, this is the finest grained film with the best tonal range of anything I have shot so far. Let me know your thoughts! I have been a professional event photographer in Los Angeles for 10 years while teaching photography at the same time. Follow the links below to see my work. Subject Matter, Composition, Lighting: What Matters Most? Composition, Subject Matter, Lighting: What Matters Most? There are three main pillars to an image: subject matter, composition, and lighting. All are important, but without a doubt subject matter matters most. Without interesting subject matter an image can be soulless. The more elements you have, the stronger an image, but sometimes subject matter can carry an image alone. Here are just a few of my film cameras in my "collection." Consider them my favorites of each type of film camera I have. My go to, well my only, medium format camera with interchangeable lenses. Perfect when I am in "work mode." I love this camera, but due to its size its not something I like to carry around with me. But its definitely a work horse. Possibly my all time favorite film camera to shoot with. There is nothing like shooting with a TLR. It's just an entirely different approach to shooting compared to modern SLR style cameras or even rangefinders. The Rolleiflex is a gorgeous, well built camera. A MUST HAVE FOR ANY CANON DSLR SHOOTER. You will feel right at home here. Although its autofocus and burst rates aren't quite up to snuff compared to its modern equivalent, the 1dxii. Theres nothing like shooting film and having pro lens options! What can be said about the Leica m3 that hasn't already been said by too many to count. It is legendary for a reason. NONE of my other cameras rival its build quality, though some come close in their own ways. This camera made me fall in love with folding cameras- I want more! It's such a quirky experience, using one. But once you figure it out its such an enjoyable experience and challenge. My favorite compact camera dependent on a distance scale for focussing. To my knowledge there is nothing that comes close to it in design and quality. Here are just a few of my tips on how to shoot candids at an event. I have many more, but here are a few I have not seen mentioned on Youtube. So much more goes into the making of a great photographer than what we typically categorize as technique. Photography should be a full body experience. The way we move goes beyond not being noticed. How we move also effects our readiness to capture pivotal shots. Today I am sharing just a few of my tips on how to capture amazing candids including: Moving deliberately and slowly, how to hold your camera in order to be more responsive, predicting smiles and making photographs in between sentences, listening for the pause in a sentence, and more. Pay attention to how you move! The more relaxed you are the readier you are to capture a moment.